Ah, Istanbul, Turkey. Baklava. Warm apple tea. And my favorite: Turkish coffee. All from an amazing sweets shop in town. 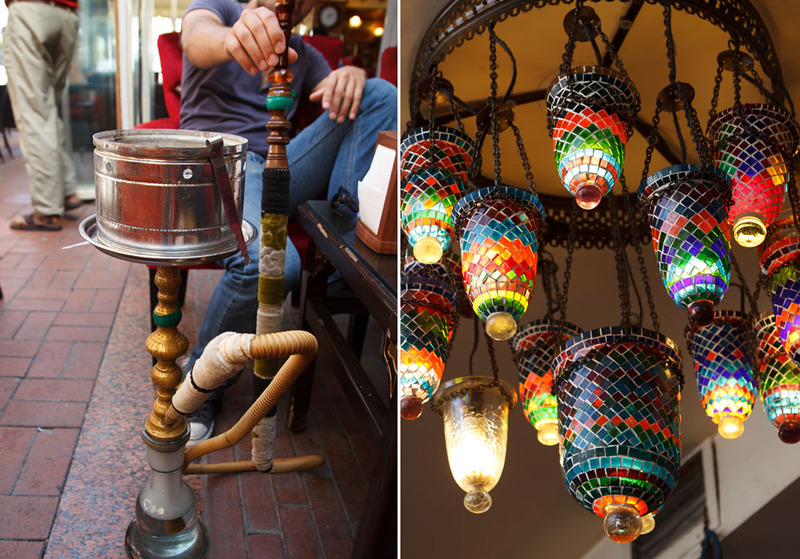 A gigantic mint flavored Hookah inhaled under an exotic lamp. And to finish up the day? How about some lovely street music performed by a lovely girl. My mind is lost in the sights, tastes, and sounds of Istanbul, Turkey.